This statement is proving out to be true in today’s dynamic world where more and more entrepreneurs are relying on custom software development companies in USA so that they can engage experts, they couldn’t otherwise afford for building tailor-made solutions to streamline business processes, enhance productivity, and increase ROI. But the real challenge for entrepreneurs is to maximize the value of their remote development team. Let’s take a look at the eight major ways through which it becomes easier to utilize the potential of the remote workforce to the fullest. Being a leader, it’s inevitable for you to set standards for performance, communication, and coordination with your remote development team. Be precise and clear about your specific expectations and convey them efficiently to the remote workers. In addition, set clear expectations in terms of availability of your outsource development team. If you want them to revert to any of your queries within two to three hours of its generation, tell them clearly. It is not a good idea to rely on assumptions when dealing with a remote team. You should explicitly mention standard rules for service-level agreements, communication, and meeting cadence. It is quite easy to establish the standards, but difficulty arrives when the time comes to stick to them. As employees do what they see their leaders are doing. It becomes mandatory for you to follow all the rules you have set. When dealing with a remote development team, stick to the principle of “practice what you preach”. Be clear with every team member about what are your expectations out of them? What modes of communication are they allowed to use and under which conditions? This will help you in maintaining a harmonious relationship with the remote workers. Also, it will allow them to respond the way you want so that there are no chances for any sort of miscommunication or confusion. It is obvious for the remote workers to be ambiguous about everything. But you can resolve this situation by creating a governance by identifying the scenarios where they might need your help. You can’t read the remote team members’ attitude so that to figure out when they are experiencing a challenging issue in their work. This makes it even more important for you to read through their mind when communicating with them. For example, you should notice when they are taking long or awkward pauses, beating around the bush, and not feeling comfortable when discussing a certain topic. Identifying these gestures will allow you to understand when your remote team is in trouble and you can help them instantly. Every single penny and minute that you spend on your remote workforce would be worth if you will take the initiative in understanding their tone, attitude, mannerisms, and personality. It is much better to meet your remote workers physically and save the time, which would get spent on either dealing with a complex issue on a conference call. In addition, you can also detect potential issues that can derail your project by meeting the remote members in person. Also, they will be able to express their honest opinions and give suggestions which could be a lifesaver for your business. In order to realize the remote development team members’ full potential, you should give them a priority. This will motivate them to feel like an integral part of your team and they will be all pumped up to attain the goals that you have set. You can do this easily by giving them an opportunity to have an idea of your core business, introducing new employees and explaining about them in brief, asking them to give their opinions about the feedback you get on social media platforms, sharing your achievements with them, etc. All these efforts will help you in opening up with your remote development team and showing that you truly care for them. Also, you will be delighted to work with a unified and highly productive remote team. The environment in which businesses operate is highly dynamic where the situation changes with every passing hour. This is why you should pay attention to the dynamics of remote jobs. Look for answers to the questions such as do programmers show respect to their dev manager? How do they respond to the instructions given by the project manager? Also, find out how they treat “non-badged” employee working with them? Do they have a welcoming attitude? 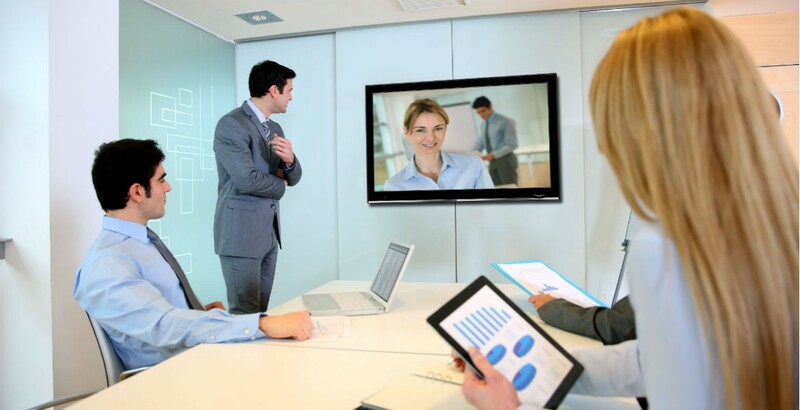 It is essential to ensure that your in-house staff have due respect towards the remote team. Also, they should treat them equally as they are too an integral part of your organization’s success. This is an obvious point that you should use modern technology platforms and tools so that you can stay connected with your remote staff. For facilitating seamless communication, you can use different messaging platforms such as WhatsApp, Slack, Skype, etc. Also, it is advisable to make use of various client-partner tools like Basecamp. These tools will help you in staying in touch with the remote programmers and interact with them on a frequent basis so that to express issues that you might face or solve their queries. Ultimately, seamless communication is the key to a successful project. In order to maintain a mutual understanding with your remote workers, it’s essential for you to be aware of their culture, time zone, etc. For instance, it’s mandatory for you to find out whether your remote development team members take lunch at their desks or go to the cafeteria. Let’s understand this even in a better way by looking at an example of Latin American employees. When outsourcing software development to this country, you should be familiar with the fact that you won’t get an immediate response if you ping them during their lunchtime. This is because these workers have a habit of taking a break from work while having food. These eight strategies will help you in encouraging the remote workers to work with even more enthusiasm and passion so that to achieve ultimate goals. These tips will also be extremely helpful in increasing the overall productivity and efficiency of your remote workforce and create a healthy work environment where every professional is treated with respect and dignity.